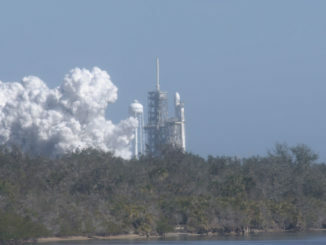 SpaceX’s fired the engines of its Falcon Heavy rocket at launch pad 39A at 12:30 p.m. EST (1730 GMT) on Wednesday. 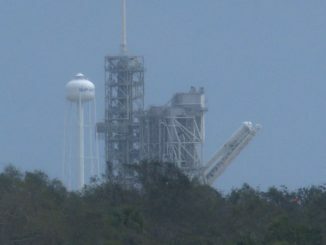 The crucial pre-launch engine test has been repeatedly delayed since the rocket returned to the launch pad earlier this month. 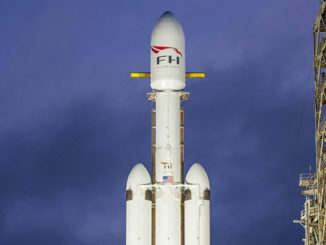 SpaceX has released the first close-up images and video of the Falcon Heavy rocket at launch complex 39A at the Kennedy Space Center. The rocket was rolled out on December 28, 2017 and raised vertical on the launch pad.